A 14" 7000 laptop crafted for compact elegance. The lightweight design features an ultrathin bezel and diamond-cut edges for sharper style. With Windows 10 Home – get the best combination of Windows features you know and new improvements you'll love. Every moment is as real as it gets. See more of every moment with the striking infinity display. Designed with a sleek ultrathin bezel, you will never look at your PC the same way. Strong and sophisticated: Crafted from beautiful, brushed aluminum reinforced with a magnesium alloy top inner frame, the Inspiron 7000 laptop is well-designed and stylish. Premium materials and a compact form make it the perfect companion for people on the go. Your signature piece: The 14" screen size feels expansive while its ultrathin bezel and diamond-cut edges add to the luxe look and feel of this sleek system. Great things come in deluxe packages: Choose between two color options: cool, elegant silver or warm, rich gold. Best view in the house: Enjoy a luminous, Truelife Full HD display with crisp, colorful views. 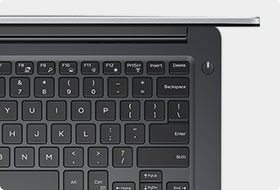 Weigh your options: Your Inspiron 14 7000 laptop comes with incredible optional features that let you create the system that best fits your needs. NVIDIA® GeForce GT 940MX adds discrete graphics for improved gaming and editing. And opt for a backlit keyboard and a solid-state drive for quicker responsiveness and better shock resistance than conventional hard drives. More than a pretty face. With proven design and trusted components, you can expect reliable performance day in and day out. The Inspiron 14 7000 is equipped with up to 7th Generation Intel® Core™ i7 processors, putting smooth, powerful performance at your fingertips. Up to 16GB DDR4 memory lets you switch quickly and easily between running programs, even while other applications run in the background. Waves MaxxAudio® Pro adds a sound clarity and dimensionality that take your music and videos to the next level. From drivers and manuals to diagnostic tools and replacement parts, Dell Product Support has you covered. 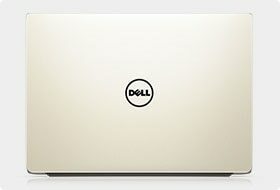 Offer valid from June 7th to June 13th at www.dell.com and not accumulative with other promotions. Prices in American dollars exclude freights, import or local taxes. Freights and taxes will be paid upon delivery, directly to the carrier. Limit of 5 systems per customer and not valid to distributors or resellers. The Notebooks weight varies by configuration. Cannot be combined in different ways. Microsoft Office 2010 availability in Spanish varies from region. Microsoft Office Basic edition includes Word, Excel and Outlook. Celeron, Celeron Inside, Centrino, Centrino Inside, Centrino logo, Core Inside, Intel, Intel logo, Intel Core, Ultrabook, Intel Inside, Intel Inside logo, Intel Viiv, Intel vPro, Itanium, Itanium Inside, Pentium, Pentium Inside, Viiv Inside, vPro Inside, Xeon and Xeon Inside are trademarks of Intel Corporation in the U.S. and other countries. For more information regarding the classification of Intel, see www.intel.com. 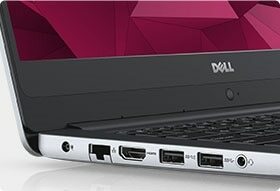 Dell has no rights over other trademarks, commercial names and third parties products advised herein. Dell is not responsible for any additional charge for credit card use or interests, late charges or penalties in case of late payment in accordance with its contract with the bank. Please provide a copy of a purchaser official ID at equipment delivery. Dell will not be not be liable for errors in typography or photography that might present. 2013 Dell Inc. All rights reserved.